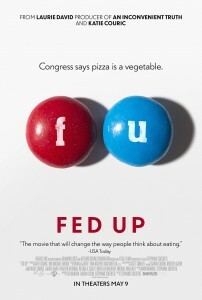 The movie Fed Up focuses on the role of sugar and high fructose corn syrup in our current epidemic of lifestyle diseases. I recently attended a screening of Fed Up that was followed by a question and answer session with a panel that included one of the physicians featured in the movie. A woman in the audience asked if sugar hardened the arteries and to my shock this physician said yes, sugar hardens the arteries. I don’t know if he was misinformed or deliberately misleading, but that was not the correct answer. The correct answer comes from Dr. William C. Roberts a practicing cardiologist for more than50 years, Executive Director of Baylor Heart and Vascular Institute and Editor in Chief of the American Journal of Cardiology. Dr. Williams clearly stated in a recent article in The Baylor University Medical Center Proceedings that the only substance that causes clogged and hardened arteries is cholesterol. Clogging and hardening of arteries is called atherosclerosis and it is not a modern disease. CT scans of mummified remains from pre-agricultural/pre-industrial hunter-gatherers in four different geographic regions/populations – Egypt, Peru, Ancestral Puebloans of southwest America, and the Unangan of the Aleutian Islands – found atherosclerosis among some of the remains from all four regions. These ancient people died long before sugar was first crystalized in India around the 5th century AD. We can only guess about what they were gathering, but if they were hunting, we know that they were getting dietary cholesterol. In April 2014 there were headlines everywhere about a study that linked sugar to heart attacks and strokes. The very title of the study: Added Sugar Intake and Cardiovascular Diseases Mortality among US Adults should have raised the basic question, “added” to what? Cakes and cookies? They have butter and eggs that contain cholesterol. Ice cream? Milk and cream contain cholesterol. Soda usually comes with a burger and fries. If you add a substance to another substance that is known to cause a disease, why would anyone think that the added substance was the problem??? The study used 24-hour dietary recalls from participants in The National Health and Nutrition Examination Survey (NHANES) to estimate the percentage of calories from added sugar that they were eating in 1988 – 1994. This information was then compared with death records over 14.6 years to see who died of cardiovascular diseases (CVD) – primarily heart attacks, strokes and heart failure. Coronary angiograms before and after a cholesterol-free plant based diet. Image from Resolving the Coronary Artery Disease Epidemic through Plant-Based Nutrition by Dr. Caldwell B. Esselstyn. The study’s conclusion states that a higher percentage of calories from added sugar was associated with a significantly increased risk of death from CVD, but that was NOT what the results actually showed. There was no connection between added sugar and CVD among African Americans, the group with the highest intake of added sugar. If a substance is significantly associated with a disease, then eating more of that substance should cause more or less of the disease. If there is no connection among those eating the most of that substance, then there is no connection, to state otherwise is misleading. Health misinformation about CVD would not be a problem if the consequences were not so tragic. On average, every 40 seconds someone in the US will die of CVD. Regardless of whether you believe that dietary cholesterol causes atherosclerosis and CVD, it is clear from these “before” and “after” angiograms that removing dietary cholesterol unclogs arteries and improves blood flow to the heart, brain and other vital organs. Sugar and high fructose corn syrup are highly refined substances that do not exist in nature. They contribute to obesity and metabolic disorders but available scientific evidence does not indicate that they directly cause heart attacks or strokes. The best advice for optimal health is to eat a cholesterol-free, whole food, plant-based diet. Dr. Jennifer Rooke is an Assistant Professor in the Department of Community Health and Preventive Medicine at Morehouse School of Medicine. She recently joined the faculty at Morehouse to start a lifestyle medicine clinic. Lifestyle Medicine is the use of interventions such as evidenced-based nutrition, physical activity and stress management to treat disease. Dr. Rooke has practiced medicine for over 27 years and is board certified in both Occupational Medicine and Public Health/Preventive Medicine. Dr. Rooke is a fellow of both the American College of Occupational and Environmental Medicine, and the American College of Preventive Medicine. Dr. Rooke serves as adjunct faculty in the Department of Family and Preventive Medicine at Emory University. Contact the author or visit her website www.advancedlifestylemedicine.com	Contact the author. I thought inflammation causes irritation in the arteries and plaque sticks to the roughed up cells in the endothelium? Doesn’t sugar in the bloodstream cause inflammation as well? So if the person is taking in extra cholesterol and added sugars and both are inflaming the endothelium than I would bet it would aggravate and cause CVD even sooner no? Have you ever seen a study that definitely proves that sugar causes inflammation? As this article points out, there are studies that show poor health results from diets that are high in sugar, but those same diets are also high in fats and cholesterol. I haven’t seen any studies, this movie notwithstanding, that show sugar in isolation is the causative factor behind inflammation or hardening of the arteries. This Doctor talks about a study that proves just that. Did that study control for saturated fat intake? Looks like they controlled for everything but. You mean Dr. Mark Hyperbole? Anyone who says sugar and white flour are 8 times more addictive than cocaine has never been a cocaine addict nor married to one. I find his alarmism insulting. Sugar and white flour are not health foods, and they do contribute to chronic disease. The Dietary Guidelines have always suggested their consumption should be limited. But absolving saturated fat and diverting our attention to sugar instead as the only culprit in our current health crisis is a marketing ploy, not science. See the attached image for the real reason behind the massive low-carb, Eat Saturated Fat media blitz. ← Taco Salad: Love it or hate it?